The Thickness 360™ gauge incorporates non-contact, vision-guided confocal technology for thickness measurement of glass containers. 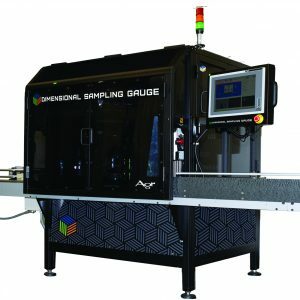 The unique design of this gauge utilizes the visual scan data gathered by the Dimensional Sampling Gauge 400 (DSG400) imaging and measurement station to map the bottle orientation and shape, and directs the Thickness 360 sensor to the article. 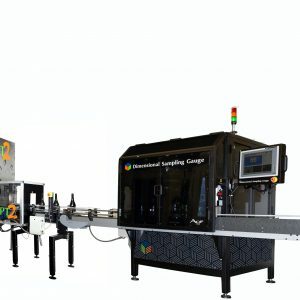 This facilitates very accurate measurement of round and non-round ware including articles with difficult-to-measure regions such as tapered sidewall and label panels as well as corner regions on non-round containers. 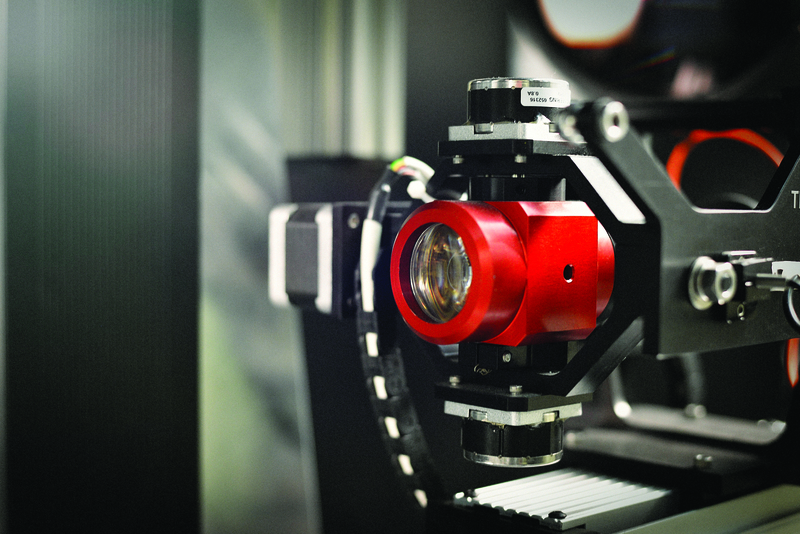 The Thickness 360 sensor is mounted in a 3-axis floating gimbal arrangement that provides vertical, horizontal and proximal distance positioning. This makes it possible for the sensor to be normalized with the surface for every measurement, regardless of angle or contour of the bottle surface. 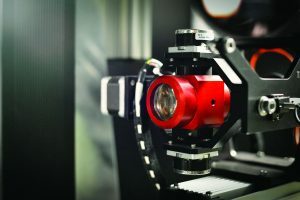 Since the sensor orientation is vision-guided based on the actual bottle shape, it is constantly positioned for the optimal measurement angle at the point of measurement. This ensures that all measurements are taken at the correct position to achieve the greatest possible accuracy for the bottle at hand. This approach has proven to be significantly more accurate and reproducible than other methods and approaches.